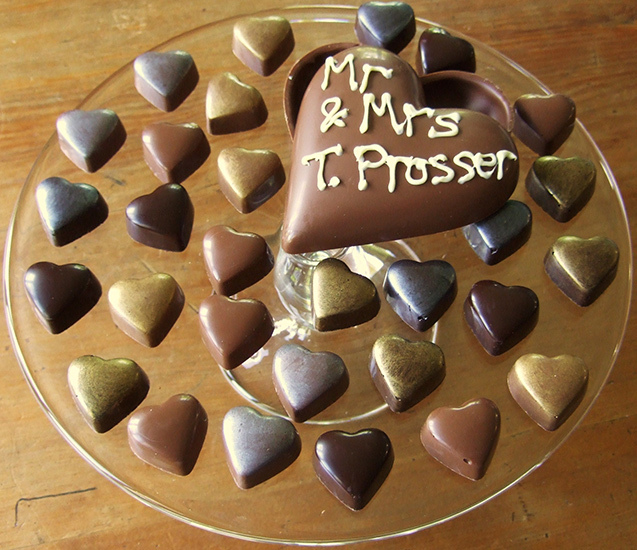 This fantastic, personable and innovative chocolatiere is based in the heart of Bristol, and her constant tinkering and experimenting is a celebration of chocolate itself. 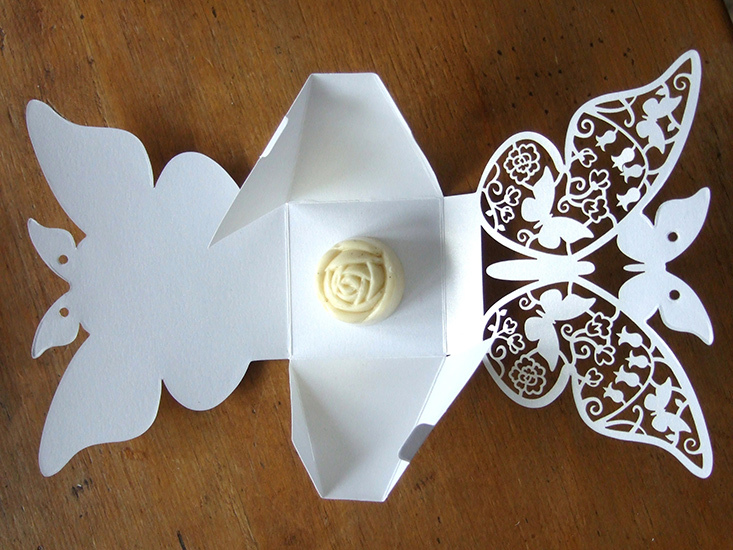 Zara invites you to get involved and come up with some unique confectionery ideas for your big day! 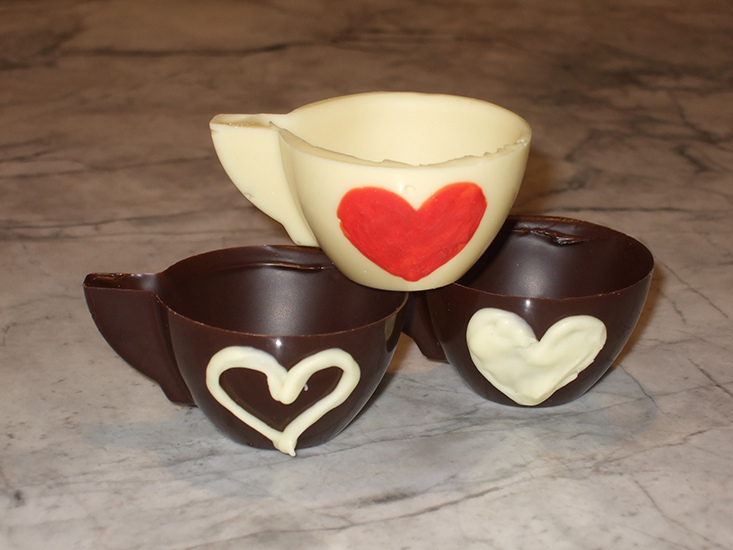 Prepare your salivary glands for some fabulous and novel ideas, such as a chocolate teacup wedding favour, hot-chocolate stirrer and chocolate buffet. Whether you are looking for some interesting confectionery-based ideas to keep your guests' sweet-tooths satiated, or are searching for a supremely indulgent Hen night activity, then the Zara's Chocolates range of delectable, ethically-sourced and hand-blended chocolates is more than worthy of your consideration. Get in touch with the friendly Zara by clicking the 'Email this business' button above, or give her a quick call by revealing and dialling the telephone number. Chocolate connoisseuse and craftswoman Zara Narracott dreams up her fascinating and delicious range of bespoke treats at her workbase in Southville, central Bristol. 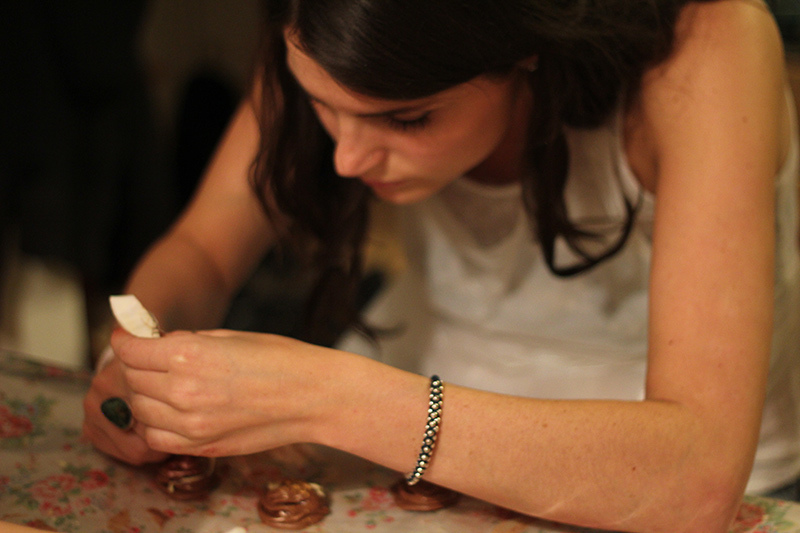 Having undergone extensive training, experimentation and research under the strict auspices of the widely respected École Chocolat Professional Chocolatier Program, she decided to move into the chocolate industry full-time back in 2011. 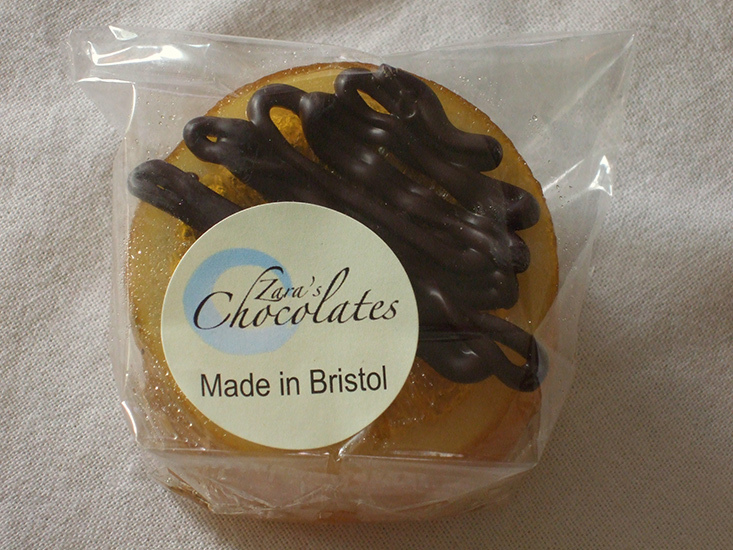 Today she provides her unique and custom-made treats for a number of clients in the Bristol and Bath region, including confectionery 'experiences' such as her Hen Party chocolate-making sessions. Zara is constantly showing up and showing off her chocolates at various food-based markets in Bristol, so keep an eye out for her and pop along for a sample. 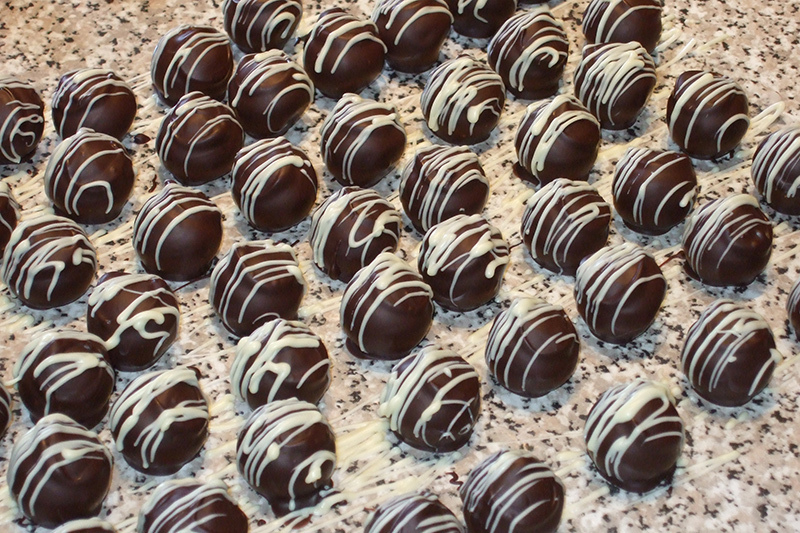 Zara loves to deliver her bespoke chocolates to weddings in person, and she would be happy to set up a lovely chocolate buffet at your event for your guests to drool over. 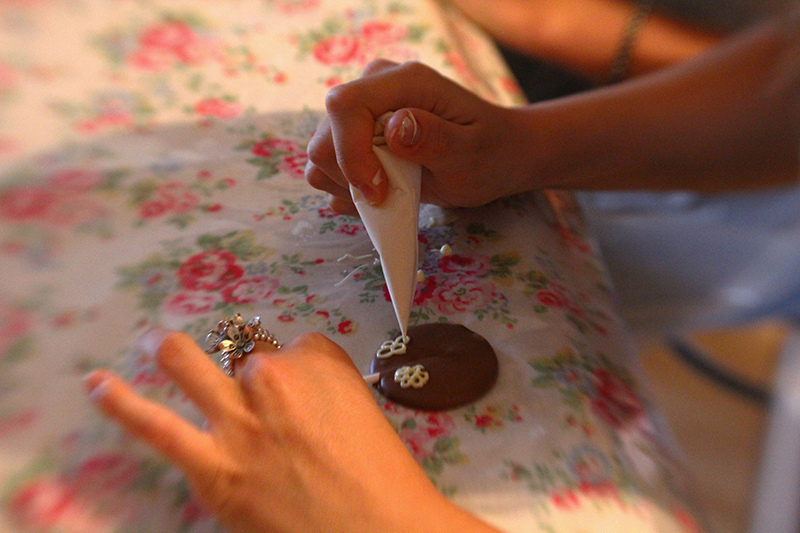 Bring Zara's incredible chocolates and expertise to your Hen Party! 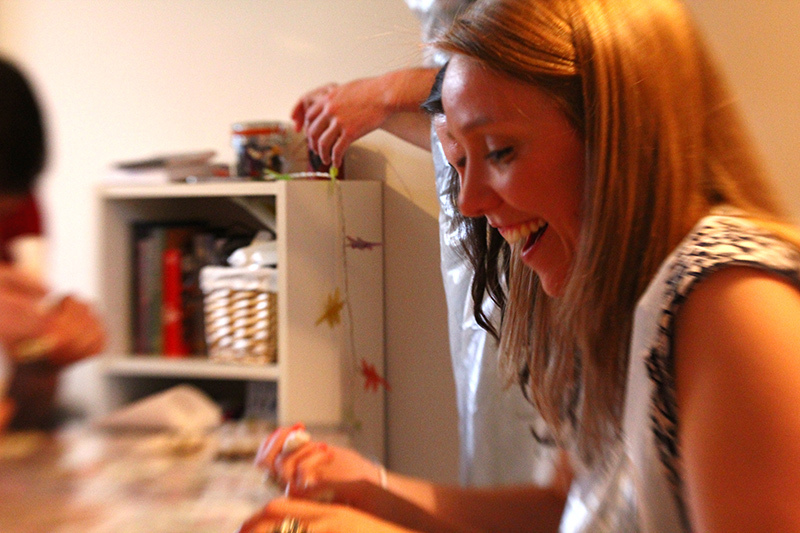 If you are holding your pre-nuptial frolics in the Bristol area, we recommend that you try out Zara's Hen Night Experience, which usually starts with a complimentary glass of bubbly, before you and your entourage can enjoy a chocolate-tasting session, learning all about the different types of chocolate and their origins. 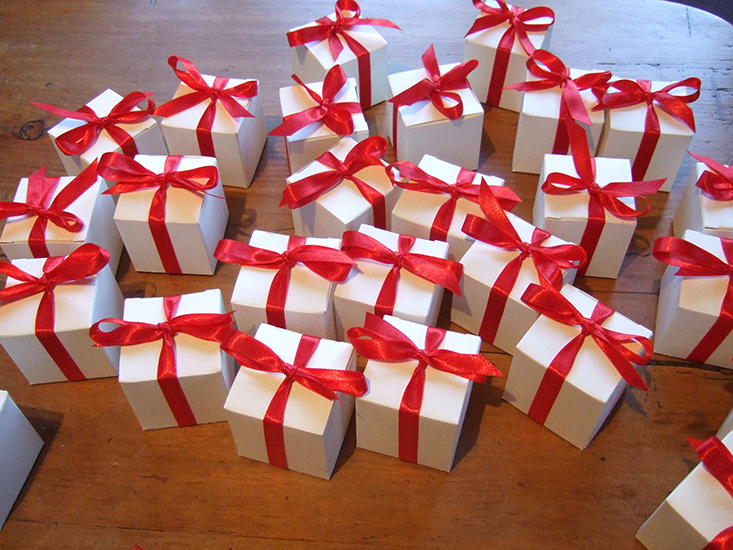 Next you'll get to play around with on-chocolate piping decoration - and there's a prize for the best design! 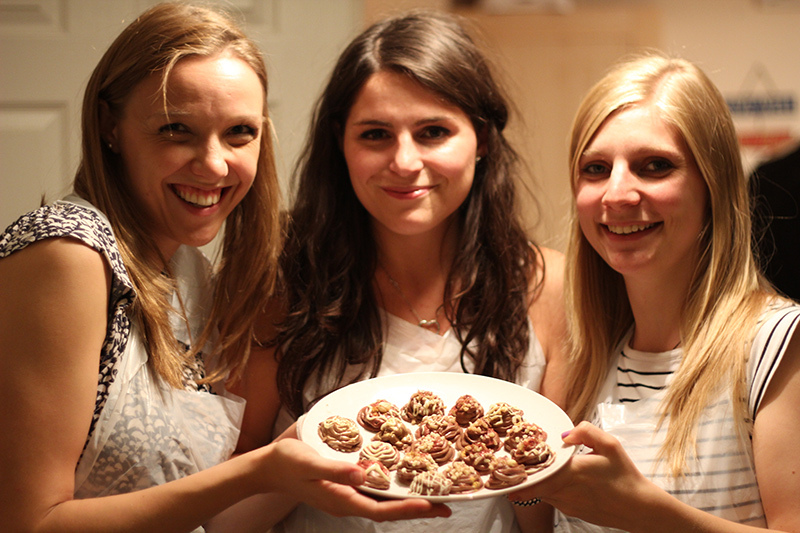 The main event revolves around creating your own delicious truffles. 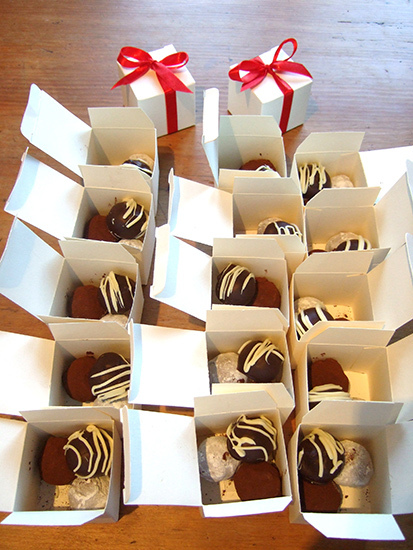 You will be split into two teams and will learn how to make and enrobe your own design of chocolate truffles. 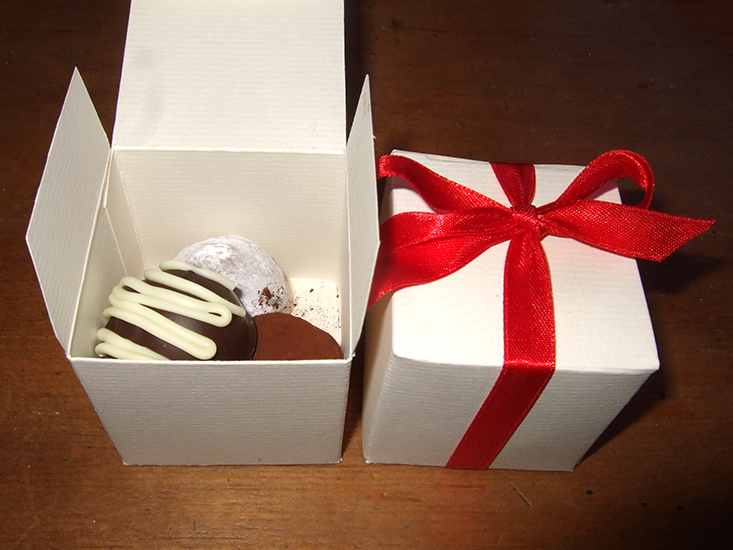 There will be prizes for truffles made with the best flavours and presentation. Then take away all your wonderful creations and scoff them to your heart's content! The major advantage of getting in touch with Zara's Chocolates is that she is willing to talk through any ideas that you may have. 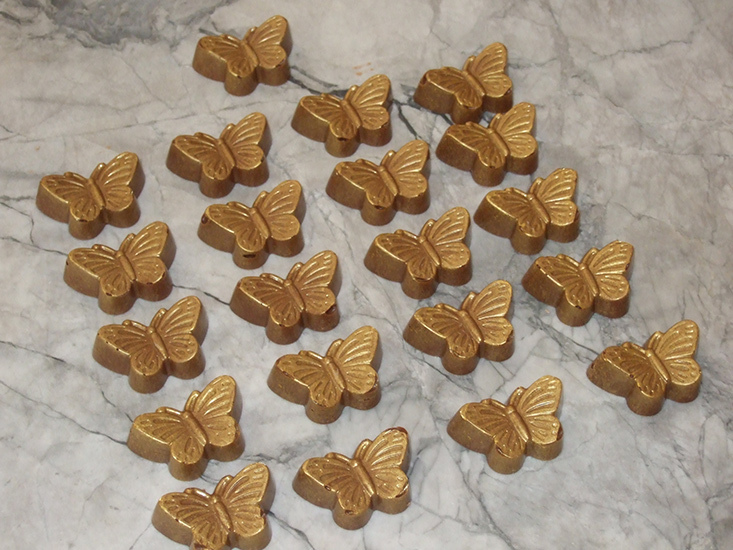 These are truly bespoke chocolates at their very best! Unlike other chocolate outlets where what you see is what you get, if you have a particular idea in mind, just approach Zara to make your chocolate-based dreams come true. 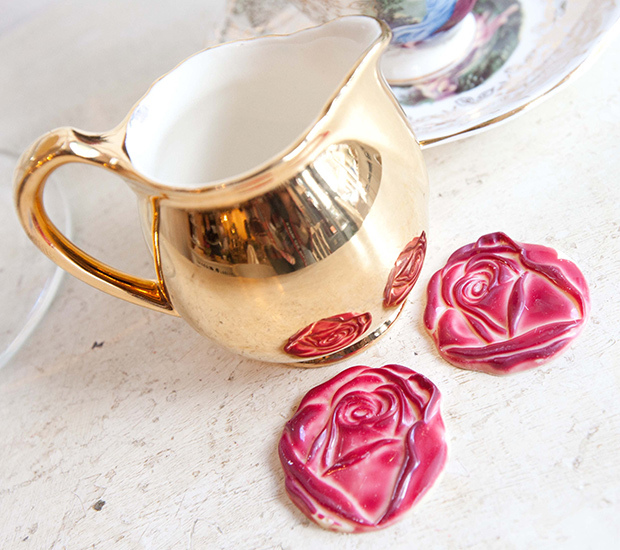 Stuck for inspiration thinking up memorable wedding favours, or perhaps looking to add a sweet little something to your reception? Then read on for some more great innovative ideas - but do remember, these are just suggestions, and if you have any potential creations of your own, feel free to ask Zara. 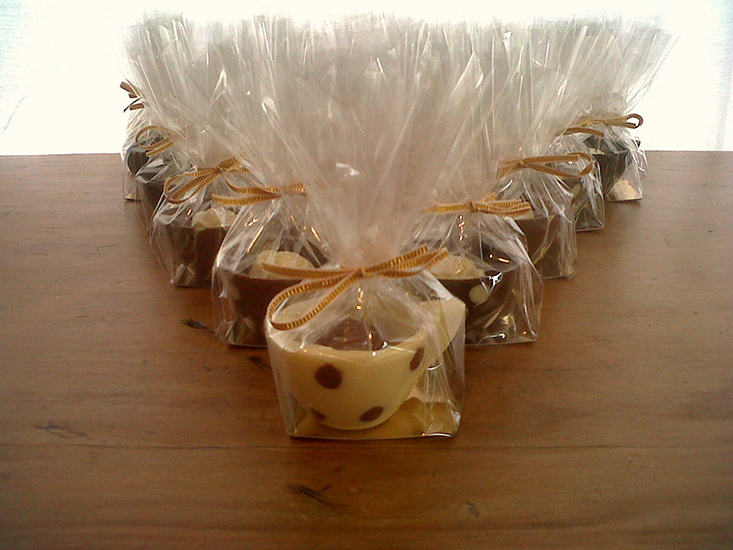 Chocolate Teacups - Brighten up your wedding tables with this delicious and funny wedding favour idea. 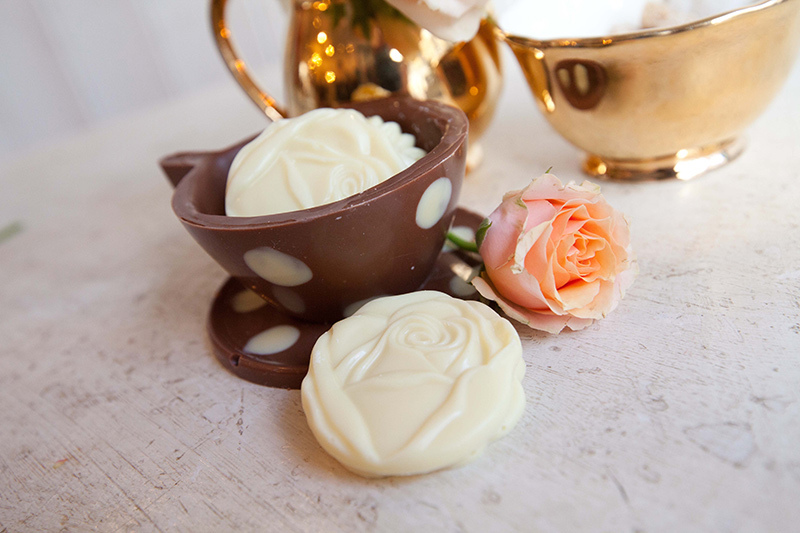 Chocolate teacups can be made out of a thick layer of whichever flavour of chocolate you want, and and can be presented complete with a truffle that sits in the cup itself. 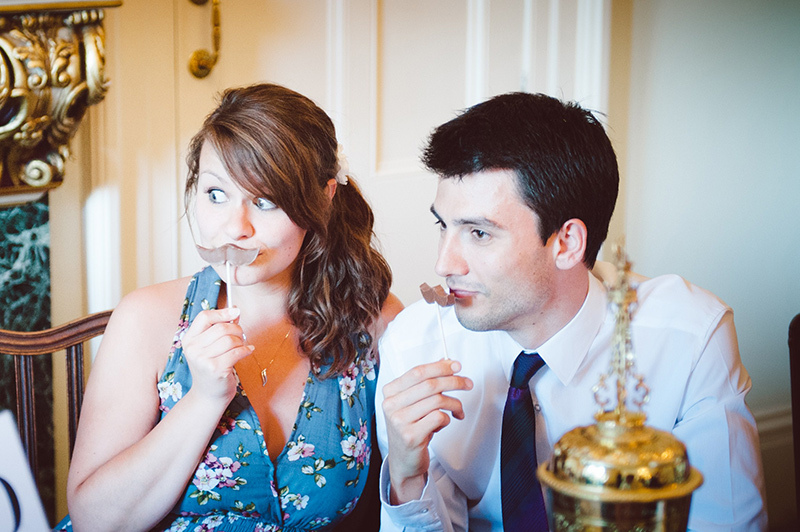 Chocolate Moustaches - These are great as frivolous wedding favours; give each of your guests a chocolate moustache on a stick, perhaps presented in their chocolate teacups or across their napkins. 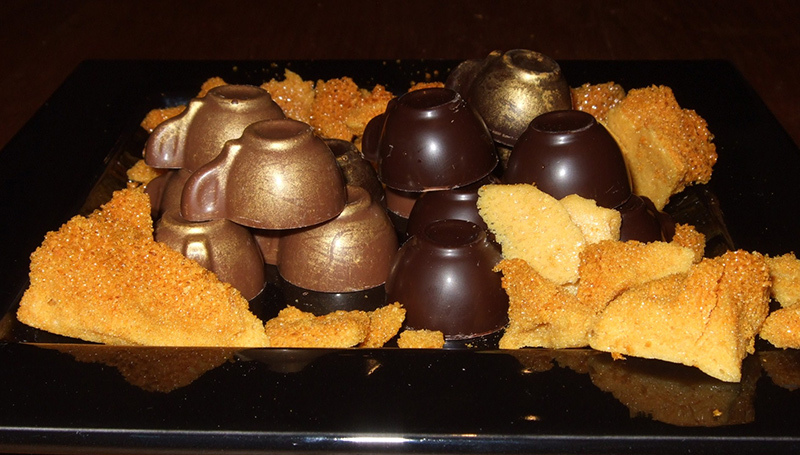 How about putting on a Chocolate Buffet made up of various treats for your guests to indulge themselves? 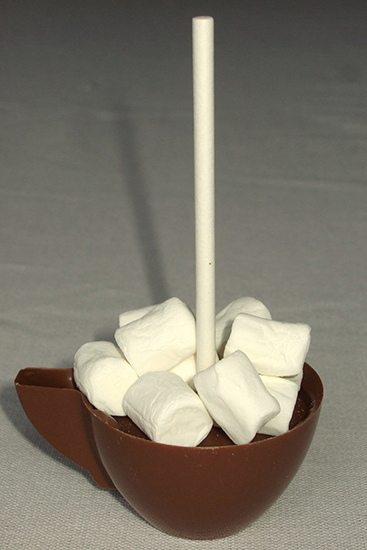 Hot Chocolate Stirrers - After the big day is over, your guests will look on in awe as these stirrers melt and make a thick, smooth and indulgent hot chocolate drink. 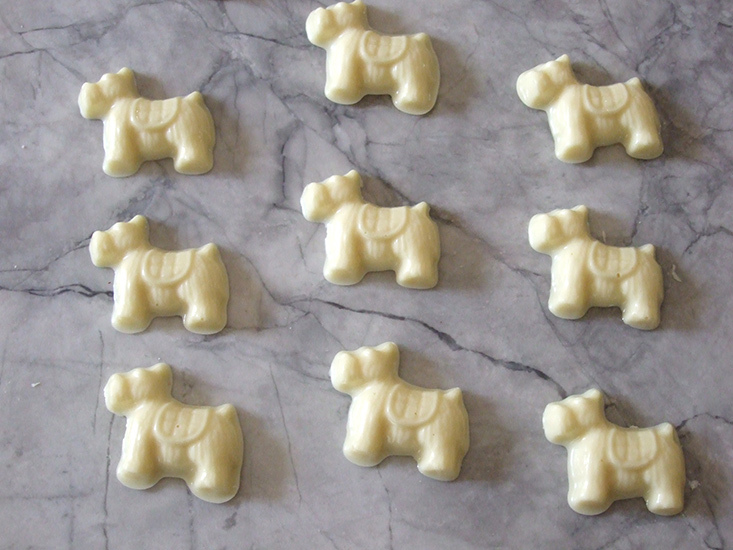 They can come in variety of flavours, from white chocolate marshmallow to Aztec Chilli. 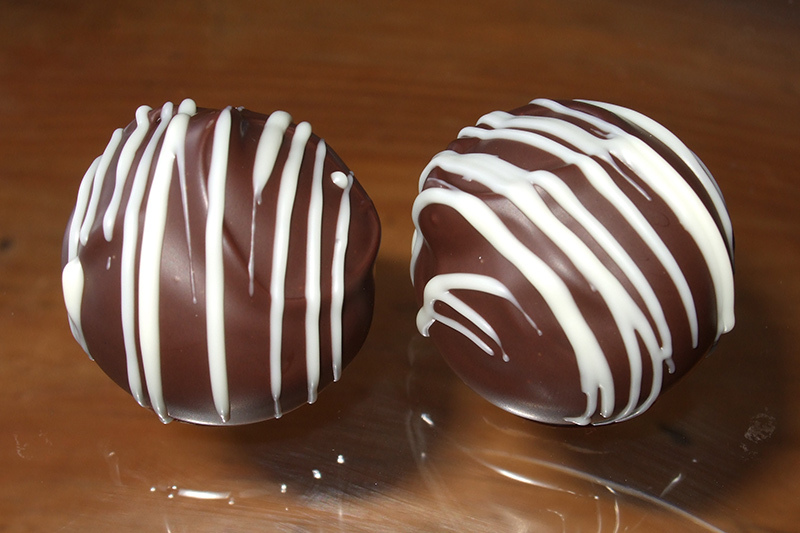 Truffles - These are Zara's specialité de maison! 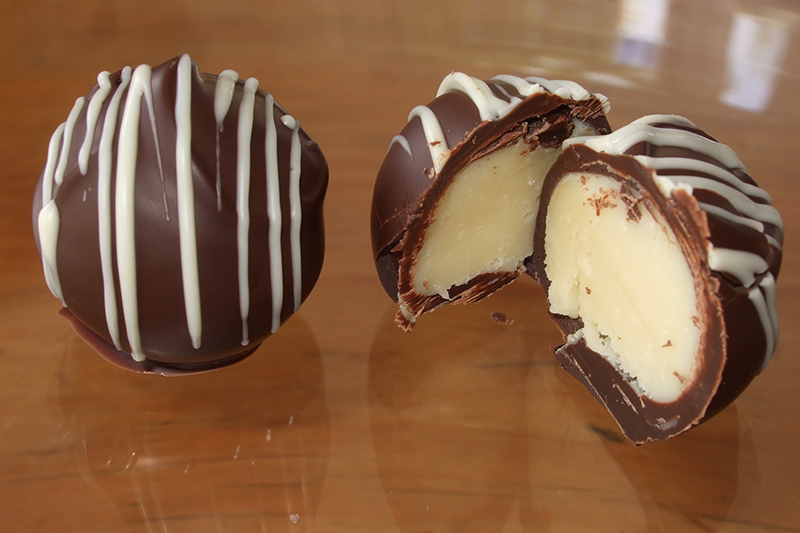 Her fresh, delicate and 'fleeting' range of truffles, which thanks to being handmade and with an innovative choice of ingredients, have a relatively short shelf-life. These preservative-free delights mean that you and your guests are in for a real treat with a full complement of succulent, fresh and uncompromised flavour - shelf-life was never going to be an issue! 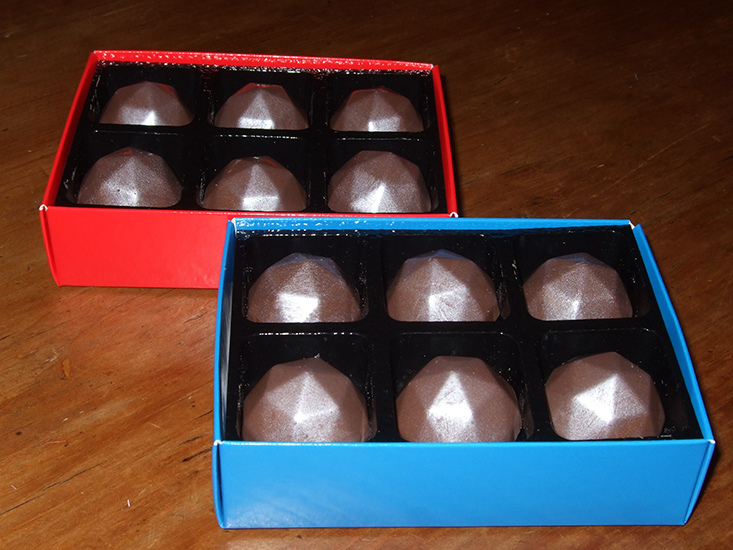 Let others know what you think of Zara's Chocolates by giving a star rating and a small review.